Project 11356 frigate Admiral Grigorovich. 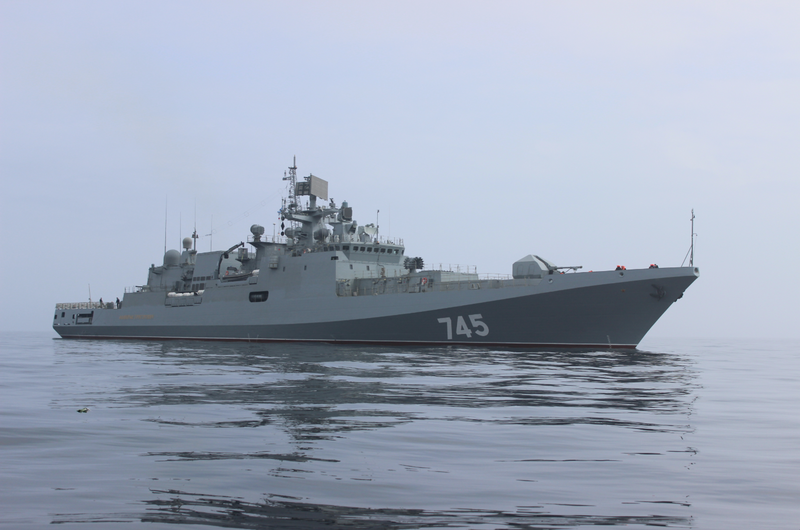 Moscow offered to equip the vessels with BrahMos cruise missiles. New Delhi and Moscow are discussing the purchase of four stealth frigates for the Indian Navy in a deal worth $4 billion, local media reported, citing a Ministry of Defence source. "Under the proposal, two of the frigates will come from Russia, while the other two will be constructed in India. The MoD has asked for some clarifications before taking a decision on the price and inter-governmental agreement," the source told Time of India newspaper. The source added that Moscow offered to equip the vessels with modern weaponry including BrahMos cruise missiles. It was reported in July that Russia and India were discussing a delivery of three new guided missile frigates for the Indian Navy. India has six frigates of the Talwar class, the forerunner of Project 11356, which are built at the Yantar shipyard in Russia’s westernmost Baltic exclave of Kaliningrad.